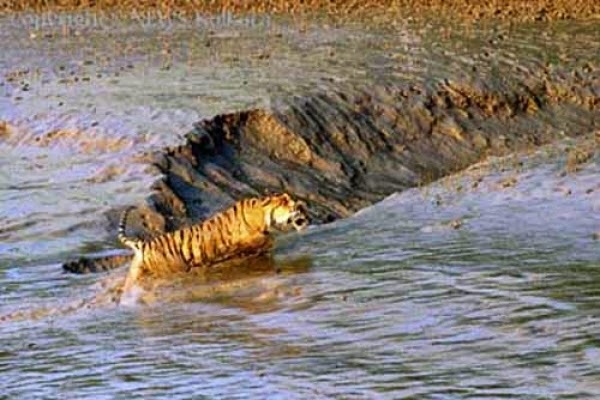 Sundarbans is a land of beautiful landscapes, romantic beaches, secluded islands and above all wide spread mangrove forests which conceal the precious wild life of the region. There is no other place in India where you can hear roaring Royal Bengal Tiger in his original semblance. There are many activities to be enjoyed here but forest safaris are the unique way of spotting animals as well as birds while cruising through the narrow creeks penetrating well in the mangrove forests. Apart from the many means of entertainment and fun available at this beautiful tourist destination, mudflats are supposed to be the one of its kind places where one can enjoy a mud bath, walking and playing in the mud. Don’t forget to take a few snaps after getting coated with mud so that you can keep them as a memerior. Visit one of the popular mudflats at Chargheri Char where additionally you can find Sea anemone, Octopus and jelly fish. Above all you can even spot a few Horse shoe crabs in the winter, which are speciality of Chargheri. Overall you can say that mudflats are one of the excting attractions in Sunderban.